The new For You tab. Back in September, after iOS 12 shipped, I basically tweeted an early version of this article. So, that’s why I wanted to share more with you about both why and how I’m using Apple’s Photos app. All my photos on all my devices. This is a huge win. Just a few years ago, photo syncing was a big problem. Back in 2013 and 2014 we were looking into all sorts of different (and expensive) third-party solutions for photo syncing recommendations on The Sweet Setup. They were all inelegant hacks at best, and none of them are still in business today. Nowadays, iCloud Photo Library just works. You take a picture and it automatically syncs to all of your other devices and you never have to think about it or maintain it. I love this! All my photo editing happens on iPad. This past spring I began using my iPad Pro for all my photo editing. One limitation of that, however, is that I have to import the photos from my Leica Q into the iOS Photos app. So, it makes the most sense for me to continue using the Photos app as the central spot for all my photos. Seamless integration with messages and iOS. Pretty much anywhere within iOS, if you’re going to work with photos, it’s going to go through the built-in Photos app. Storage is cheap: I have a 2TB family storage plan that covers all the iCloud documents, device backups, and photos for my iOS devices as well as my wife’s. Now let’s check out the two most notable features of the Photos app and how I’m using them: For You and Search. But it’s probably not in that order because the order changes and adjusts based on what the app is recommending to you. It’s pretty awesome. So, not only do we have access to the intelligent sorting options and the power of photo search… it’s all happening on the device itself and not in the cloud. Trips to Castle Rock over the years. It even includes the photos taken on my fancy camera. My fancy camera doesn’t have GPS, so I don’t know how the Photos app knows, but somehow it knows that those photos were shot in Castle Rock (perhaps because the photos are time-stamped at the same time as all the other photos). Anna Over the Years: A collection of photos of my wife. I favorited this memory right away as it’s packed with all sorts of photos from mine and Anna’s dates, family gatherings, and family outings. 7 Years Ago: This was a small photo collection of the pictures I took back in November 2011 when I was preparing to sell my 20th Anniversary Edition Volkswagen GTI on Craigslist. Man, I loved that car. Compare these two screenshots of my For You tab. See how they’re different? The one on the left was from September and the one on the right is from yesterday. On the left, it kicks off right away with a sharing suggestion because I had just recently been on a trip. On the right, this week the For You tab is leading with Memories. I love how the For You tab is actively surfacing photos and videos that are relevant, unique, and interesting today. It’s not static nor is it manually updated. The ability of iOS to intelligently sort and suggest within your images is just fantastic. For anything specific that I may want to find, I am constantly amazed at how well Apple’s improved image search functionality works. 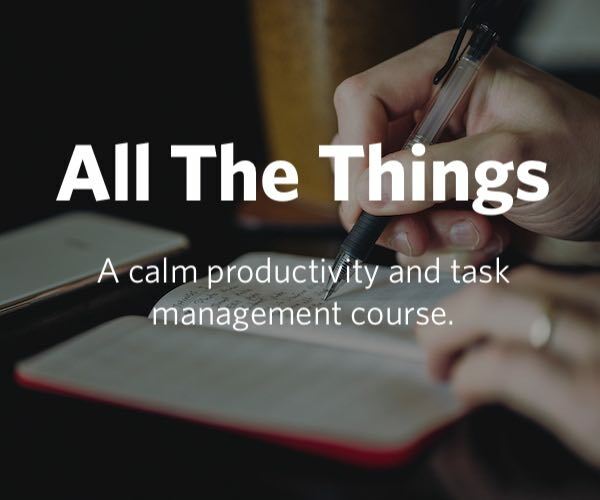 With email, it’s become standard practice to toss the vast majority of all your emails into a single “archive” folder and then use search to find specifically what you’re looking for if you ever need. 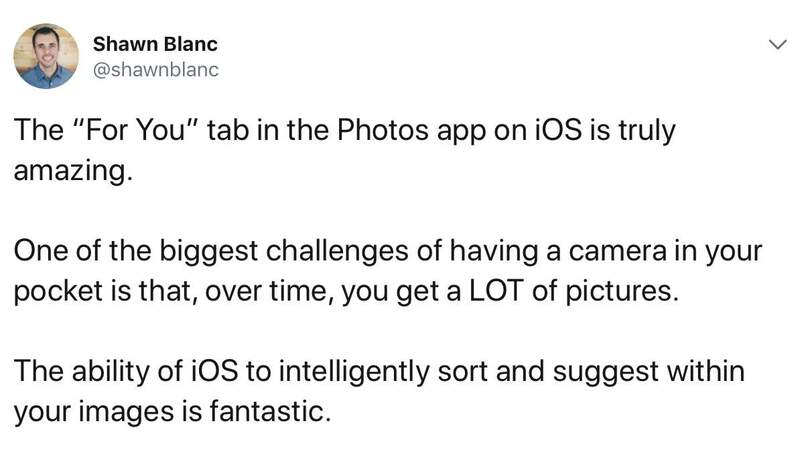 This is basically how your photo library works now as well. I search for “lakes” or “mountains” or “Jeeps.” I can also search for people, or even combinations of people “Noah, Giovanni, Benson” (my three sons). And the results that I’m given are more than just straight-up photos of those things. For example, when I search for “lakes” I also get a recommended smart album that includes all the photos from a summer camping trip we took out in Pike National Forest. Moreover, I can even use Siri to quickly perform a search. I can ask Siri to “show me all the pictures I’ve taken in Colorado,” or “show me photos from last December.” And boom… I’m instantly taken to a results page within the Photos app that includes all the photos that match the exact criteria, plus some other search suggestions and any related albums, memories, and moments. This article ended up taking me much longer to write than normal. As you can imagine, while writing I was also digging around in the Photos app… and, well, I ended up spending quite a bit of time just scrolling through old photos. It was fantastic. Thanks to the Memories, I was perusing photos of Anna and I that were taken back in 2016 just weeks before our third son was born. I remember now that we were getting out of the house to go on dates and spend as much time as we could with our older two boys before Benson was born. I also came across some photos of our time in downtown Castle Rock at Festival Park during Thanksgiving 2017. We had spontaneously decided at the last minute that we would drive to Colorado to spend thanksgiving with our family out there. Long-time readers will know that I love to print out my photos and frame them around my house. Photography has been a serous hobby of mine for about 6 years now, and I’d think the only thing I love more than taking photos is looking at them. And isn’t that whole point? Because I’ve personally gone all-in with Apple Photos, and because it’s the photo app and service we most recommend for anyone with an iPhone, I wanted to add some more tutorial videos to our popular course on photography. We know that a lot of you have a Mac, and so we wanted to walk you through how the Mac’s Photos app works and what all it can do — including how to edit and adjust your photos. Did you know that the Photos app on Mac has more editing tools than its iOS counterpart, and even has some editing tools that you don’t find in Lightroom? 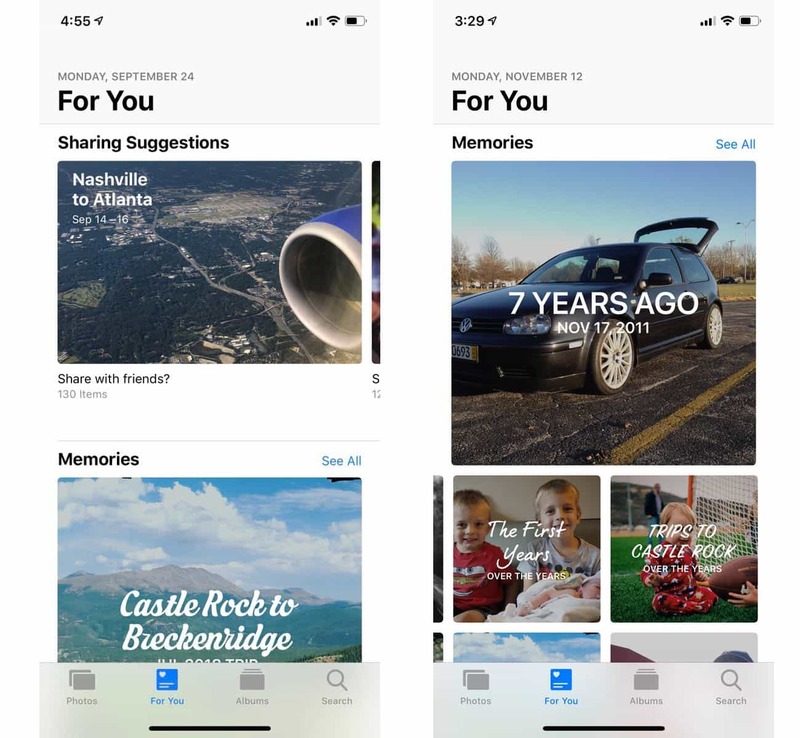 As I’ve already discussed in this whole article, one of the best benefits in using Apple’s Photos app is the automatic albums that it creates for you: from memories, favorites, people, and places. It’s been a long road to get here, but it’s pretty much now to the point where all you really need to do is take photos and then the magic of sorting, categorizing, and organizing your photo library all happens for you. The automatic albums allow you to stop managing and organizing your photo library and simply enjoy it. And for anything that you may want to find, you’d be amazed at how well Apple’s improved search functionality works. In addition to the automatically generated albums mentioned above, you can also create your own albums. While I don’t have many of these because iOS does such a great job at the automatic albums, I do have a few albums I’ve set up manually. Such as an album of the professional portraits my family had taken last fall. And another album of all my Jeep CJ-7 build photos. On the Mac, you can even go one step further and set up “Smart Albums.” We’ll show you how these work and how to set them up. Memories are one of the hallmark benefits in the Photos app. 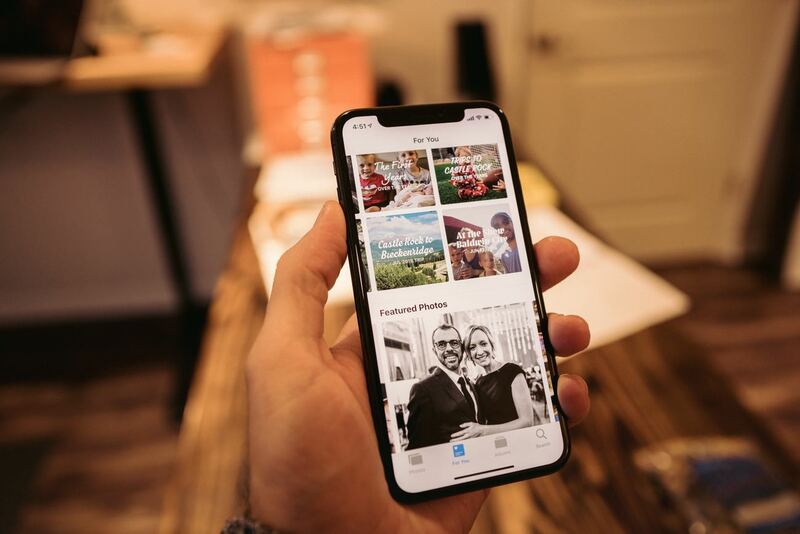 Your iPhone or iPad will automatically generate these Memories using photos from a specific event, theme, or person(s) and present them to you. We’ll show you how to find, favorite, and even edit your Memories. 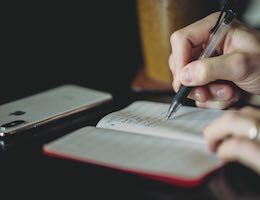 No, this is not science fiction… You’d be surprised at how much you can edit within a memory: from the photos that are included, to the text and title of the memory, to the duration of the video, and so much more. If you’ve got a phone full of photos, all you really need to do is nothing. Just let the Photos app do its thing. That’s why our latest update to the photography course shows you all the features within the Mac Photos app, plus additional in-depth walkthroughs for how you can make sure you’re using those features to better enjoy your photos. And this is in addition to the 21 videos we already had in the course that cover how to use the best apps for photo editing, and how to take amazing photos.